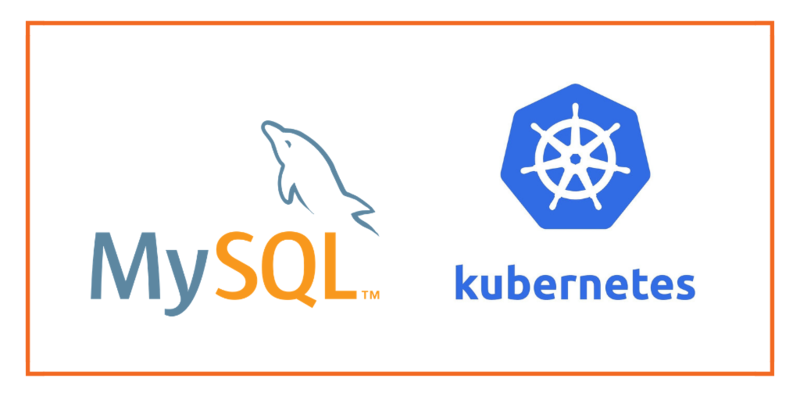 As part of our ongoing series on running MySQL on Kubernetes, we’ve also published a number of articles about running MySQL on Kubernetes for specific platforms and for specific use cases. If you are looking for a specific Kubernetes platform, check out these related articles. This MySQL Kubernetes guide will show you how to run MySQL in containers on Kubernetes using statefulsets and kops. Our engineers (especially Harsh Desai) have been working closely with Kubernetes engineers to improve the installation path of Portworx onto a Kubernetes cluster. We are pleased to announce that as of version 1.6.5, Kubernetes supports running Portworx in “masterless” mode which has several advantages for various Kubernetes-based platforms. This post will focus on running Portworx with Kubernetes on AWS using kops to bootstrap the cluster. In this post we will focus on running a MySQL server and dealing with a failover scenario. Why do I need Portworx if Kubernetes already has Persistent Claims for EBS Volumes? The answer is that EBS volumes are not nimble resources and can take minutes to move around the cluster because they can get stuck in an attaching state. EBS stuck attaching is quite a common problem, the result of which is increased time to recovery during failures and even inability to fail over pods at all with manual intervention. Portworx takes a different approach: It will take your underlying block storage and turn it into a “pool,” with virtual slices of that pool offered as storage to a container. The Portworx volume is replicated at block layer and so in the event of a node failure, the volume with all its data is already present on another node and so failover happens much faster. Another advantage of using Portworx with kops specifically is that kops uses Auto Scaling Groups to manage the underlying EC2 nodes. As demonstrated in another previous blog post about how to use AWS auto scaling groups (ASG) with Docker, Portworx brings a valuable operational advantage by separating storage from compute and re-using EBS volumes from a previous scale-up operation. This guide follows the official AWS installation guide for kops. From this point – we have a vanilla Kubernetes cluster that will use EBS drives for stateful container volumes. The following steps will install Portworx onto our Kubernetes cluster. We will use the etcd operator to install an etcd cluster. Then, we create a template storage volume. Portworx will use the meta-data (size, iops etc) as a template and create a new volume for each node in the cluster. Portworx runs inside a container on each node (it deploys as a DaemonSet). Portworx will need aws access credentials so it can manage the underlying EBS storage pool, we are passing the keys for simplicity. You can read more about this in the AWS ASG blog post mentioned earlier as kops uses these under the cover to manage Kubernetes nodes. Notice how Portworx has automatically provisioned new EBS drives for our storage pool and has based their properties on our template volume. Now we have a fully operational Kubernetes cluster with Portworx, we can see how it copes with a node failure when using a replicated volume. This storage class tells Portworx to keep two copies of the volume at all times. We then create a deployment that uses a `volumeClaimTemplate` to ask Kubernetes for a volume with 20Gb of storage. We can see that `portworx-repl-2` is of type `kubernetes.io/portworx-volume` which means this Persistent Volume Claim will auto-provision a Portworx volume for us and attach it to the pod. At this point we have a running MySQL server – let’s use this guide to simulate failover of a node. At this point there is a database called `TEST_1234` created on our MySQL server. Then we cordon the node that is currently running our MySQL server and then remove the MySQL pod itself. Because we are running a stateful set, this will trigger Kubernetes to re-schedule a new Pod to another node (simulating the original node failing). Kubernetes has kicked in and re-scheduled the MySQL Pod to another node. The volume claim that pods refers to has a replication setting of 2 meaning the original data was being synchronously replicated and so the new MySQL Pod starts off where it left off before the failure. This hands on guide has shown you how to install and operate Portworx on an AWS Kubernetes cluster. As demonstrated, there are various advantages to using Portworx in this situation. Another advantage of using Portworx alongside kops specifically is the integration with Auto Scaling Groups (demonstrated in this post). This means Portworx will manage our underlying EBS pool and be able to re-use previous EBS volumes after a scale up/down/up operation. Want to learn more about Kubernetes persistent storage? Be sure to checkout our documentation for running Portworx on Kubernetes!